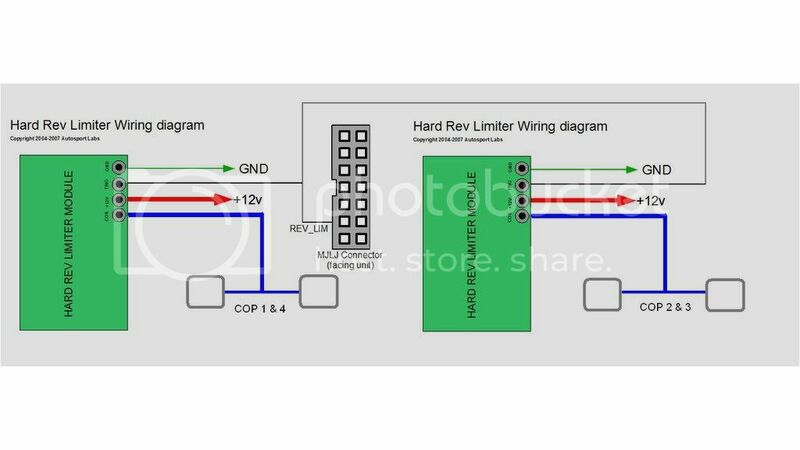 since i'm running x2 EDIS4 units to power 4 COPs, would it make sense then to run x2 Hard Rev Limiters where the +12, GND and Trigger run from the same points but only the COIL connector of each limiter be responsible for their own separate pair of Coils? I would think one rev limiter module could power all of your coils. However, it would be good to know the DC resistance of the coil pack primaries. Can you let us know what that is? should the multimeter be set for DC Voltage Measurement and the car running to get the above mentioned information? if not then please advise. *"86" the above question: i realized DC resistance is still Ohmage testing. i'm an amateur what can i say. Uh, you got it. Remember, it's not a mistake if you catch it! Very well. An EDIS primary winding will typically measure .5 to .6 ohms, so it would seem you should be fine with one rev limiter module. After installing, you could verify the temperature of the module after running the car for a bit, without hitting the rev limiter. There should be almost no detectable heat coming from the mosfet transistor on the rev limiter board.